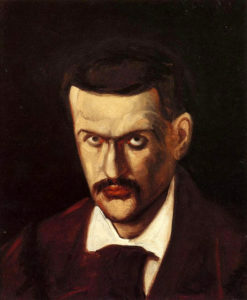 ‘Cézanne Portraits’ at National Gallery of Art, Washington, D.C.
Paul Cézanne, Self-Portrait (1883-1887), 44 × 36 cm. Ny Carlsberg Glyptotek, Copenhagen, Denmark. The landmark exhibition Cézanne Portraits is a collaborative endeavor co-organized by London’s National Portrait Gallery, the Musée d’Orsay in Paris and the National Gallery of Art, Washington, DC— for this, the final stop of its tour. Even though modified to some extent, due to loan restrictions, it reveals a remarkable selection of portrayals, disclosing the distinct qualities of this extraordinary artist, a forerunner to Cubism whose work became the essence for abstract art of the 20th century. 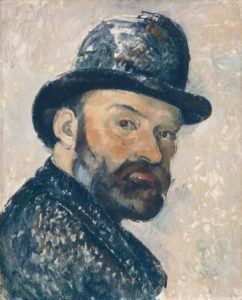 Both Matisse and Picasso have said that Cézanne “is the father of us all.” Yet Cézanne stands alone between his Impressionist and Post-Impressionist peers for his deep respect for the art of the past. Throughout his career Cézanne continuously went to the Louvre to consult the Old Masters. John Elderfield, former Museum of Modern Art chief curator of painting and sculpture, curated this display of 59 portraits that was drawn from public and private collections around the world. His discerning eye is evident in the prime portraits carefully placed throughout each of the superbly installed small gallery rooms. This chronologically arranged show flows like a fine tuned retrospective beginning in the first gallery with Cézanne’s youthful romanticism e vident in his brooding Self- Portrait, 1862-64, (painted from a photograph when he was 22) to the ‘Last Decade and the Portraits of Les Lauves’ depicting The Gardener Vallier, 1905-06 (below) that reveals his mature painterly style. 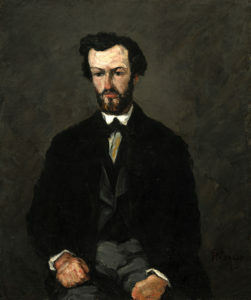 Right: Paul Cézanne, Self-Portrait, 1862-64, oil on canvas 46 x 38 cm. Private Collection. No exhibition has been devoted principally to Cézanne’s portrait paintings since 1910 when Cézanne’s dealer Ambroise Vollard arranged a showing of them approximately four years after the artist’s death. 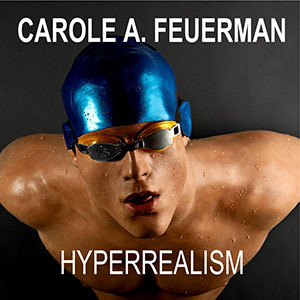 Subsequently the only thematic staging of his portraits was at the Metropolitan Museum of Art in 2015. That show titled Madame Cézanne displayed 24 of the artist’s twenty-nine known portraits of his wife Hortense Fiquet. It illustrated the artist’s complex yet enduring attachment to his wife, the mother of his only son Paul, and Cézanne’s most-painted model. Left:Paul Cézanne, Ambroise Vollard, 1899, oil on canvas, 39 3/4 x 31 7/8”. Petit Palais, Musée des Beaux-Arts de la Ville de Paris. Photograph © RMN-Grand Palais (Musée d’Orsay) / Agence Bulloz. Known as the “Master of Aix-en-Provence,” Cézanne throughout his career, spanning over five decades, painted approximately 1,000 works, yet made only 160 portraits. Audiences’ familiarity with his landscapes [Montagne Sainte-Victoire] and the numerous still life’s of fruit, perhaps stem from art history’s focus on this work because of Cézanne’s acute influence on modernism. Additionally portraiture was perceived as a commercial genre and considered a lesser category of fine art painting. He produced hardly any commissioned portraits, instead opted to paint himself, his wife, son, friends, relatives, neighbors and common folk. Even though the focus of this exhibition in solely on the artist’s portraits, it clearly discloses Cézanne’s artistic expansion and the all-encompassing growth of his painterly investigation. Collectively this sequential display exemplifies the artist’s continuous evolution, his persistent experimentation and steadfast recreation of the genre of portraiture. For him both faces and natural objects could be a vehicle for representing the appearance of light and space. “Painting from nature is not copying the object,” he wrote, “it is realizing one’s sensations.” This firm conviction is apparent throughout this superb exposition. 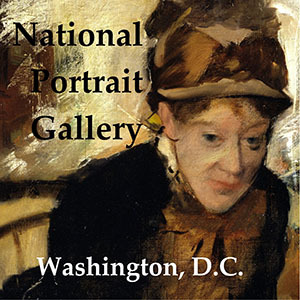 The exhibition commences with his early, stern portraits implemented in melancholy dark colors with many of the faces painted brusquely with a palette knife produced in the mid-to-late 1860s. Besides his self-portrait, his sister Marie Cézanne and mother one finds numerous portraits of Cézanne’s uncle Dominique. Heavy masses of impasto coarsely contour his scowling likeness in varied portrayals ranging in profile, in a turban, a workman’s cap with a bulging head and as a barrister, all with distinct sphere-shaped charcoal black facial hair. Right: Paul Cézanne, Antony Valabrègue, 1866, oil on canvas overall: 45 13/16 x 38 ¾”. National Gallery of Art, Washington, Collection of Mr. and Mrs. Paul Mellon. 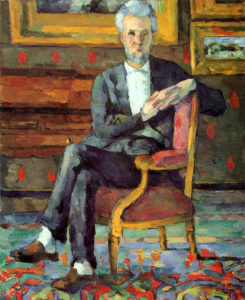 The portrait of Antony Valabregue, 1866-67, the poet and art historian, who grew up with Cézanne in Aix, was created shortly after Cézanne’s gave up his study of law to be an artist. Realizing that showing in the Salon was necessary to gain recognition Cézanne submitted this portrait thinking it was a conventional painting. 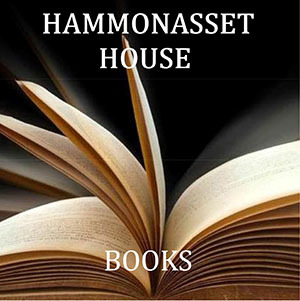 Nonetheless his submission was rejected and considered radically out of limits from the academic style. This is not surprising since it is a rough, gloomy portrait layered with a palette knife and palpable twirls—yet it commands a powerful presence. Both the figure and sketchy background are monochromatically dark, but the highlighted clasped fits and the furrowed, substantial intellectual forehead add to the portrait’s fascinating enigma. Two exceptional compositions from this early period include the double portrait of The Artist’s Father Reading “L’Evenement” (1866) and the rare double portrait of Paul Alexis Reading a Manuscript to Emile Zola (1869-70). Although both works are painted in dark hues one observes now more spatial depth and interior details in each portrait. 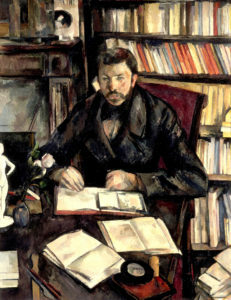 Left:Paul Cézanne, The Artist’s Father, Reading “L’Événement”, 1866, oil on canvas overall: 78 1/8 x 46 15/16”. National Gallery of Art, Washington, Collection of Mr. and Mrs. Paul Mellon. 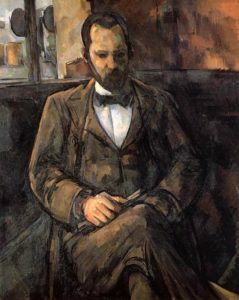 Especially captivating is the artist’s portrait of his father Louis-Auguste Cézanne, a successful conservative banker who was dismissive of his son’s artistic career. 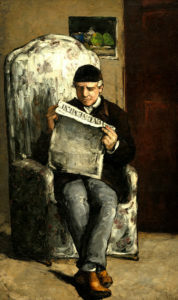 Louis–Auguste is portrayed deeply engrossed in reading in a private space L’Evenement, the short-lived progressive liberal journal created by Zola to defend artists who were rejected by the Salon of 1866. This would not have been Louis-Aguste’s choice provincial newspaper. Some surmise this was Cézanne’s conscious ruse against his father. The portrait is an impressive image bathed in Chiaroscuro, a technique developed during the Renaissance, of which the artist used strong tonal light and dark to model sharp contrasts so to create a dramatic effect. 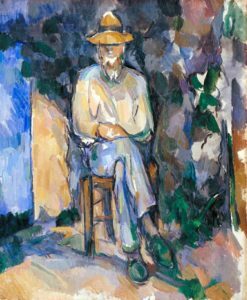 Cézanne averts the gaze of his father who is in slippers, with his legs crossed tightly. In the latter rare double portrait, Alexis reads to Zola who sits in a meditative state absorbed in the intellectual exchange, appearing as if he was floating. Unfortunately because of the Franco-Prussian War of 1870, this portrait was never finished. However, the sketchy lines on Zola’s white clothes and settee enhance the composition’s setting and allure. By the late 1877’s Cézanne engaged in far-reaching experimentation that was influenced by his encounters with the Impressionist painters. The result was a lightening of his palette, a nimbler handling of paint and a new approach to using color and light. 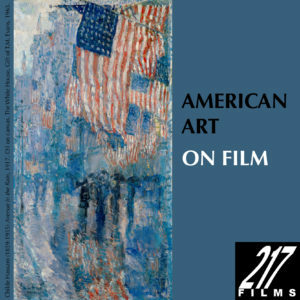 He advanced their endeavors against academic painting – the blurring of clear lines of form and distinct use of color to invent a new style of painting that represented the world as a creative interpretation. By a careful method of exploration Cézanne extended his practice and paved the way for abstract art. Right: Paul Cézanne, Victor Chocquet, 1877, oil on canvas, overall: 18 x 15”. Columbus Museum of Art, Ohio: Museum Purchase, Howald Fund 1950.024. Victor Chocquet was Cézanne’s most avid collector and perhaps his closest friend. The 1877 Portrait of Victor Chocquet illustrates a new method to the treatment of the subject and the space the sitter occupies. The subject is pushed back in the picture plane though there is a flattening of the space revealing a new pictorial unity constructed by the banding of horizontal and vertical strips of planes and chromatic harmony. Chocquet centrally placed sits on a velvet chair and pensively stares out with his fingers interlocked. The portraits of Cézanne wife are among his most intriguing portraits. As noticeable in his portraits of Uncle Dominique, Cézanne’s often made a series of a person that unfolds over time. 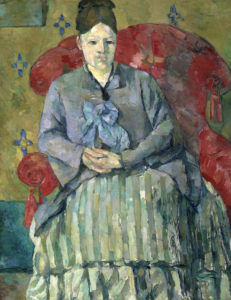 Eleven likenesses of Marie-Hortense Fiquet Cézanne are included in this show. Even though Cézanne seemed essentially impartial to the psychological life of his subjects, in certain self-portraits as well as those of his wife Hortense, a complicated emotional sensibility pervades. Left: Paul Cézanne, Madame Cézanne in a Red Armchair, c. 1877, oil on canvas, overall: 28 1/2 x 22”. Museum of Fine Arts, Boston, Bequest of Robert Treat Paine, 2nd Photograph © 2017 Museum of Fine Arts, Boston. An exceptional work is Madame Cézanne in a Red Armchair, 1877 that depicts monumentality and dignity. The treatment of Hortense’s face, the painterly high-backed red chair and the incandescent multicolored stripes of her skirt establish this work as a breakthrough composition. The face of this woman is not beautiful yet fascinating. Her face starring out is modeled with planes of subtle greens, pinks and blues; the head is a perfect oval and crowned with thick auburn hair resembling a helmet. Right: Paul Cézanne, Madame Cézanne in a Striped Dress, 1885–1886, oil on canvas, unframed: 34 3/8 x 29 5/16 x 2 1/8”. Philadelphia Museum of Art: The Henry P. McIlhenny Collection in memory of Frances P. McIlhenny, 1986. 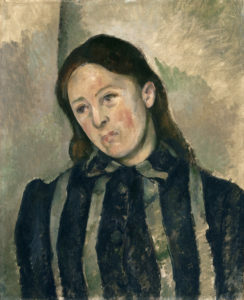 Madame Cézanne in a Striped Dress, 1885-86 is both a captivating portrait yet ambiguous painting. It is one of the few with her hair let down presenting an expression suggestive of downheartedness or deep contemplation. Her long, oval-shaped head, the eggshell delicacy of the facial flesh tones, vague eyes and lips, and the cool tones of black and green in the painting, suggest a detached, abstract portrayal of the model. However its impression is that a very human portrait conveyed by her delicate face and her graceful introverted femaleness. A favorite piece in the show is Gustave Geffroy, 1896. Cézanne painted this portrait as a display of gratitude to the French novelist and art critic, who gave him the first sympathetic review in the periodical Le Journal. At this time Cézanne was already in his late fifties. Geffroy sat for Cézanne daily over a span of three months in the study at his home in Paris yet his face and hands never were finished. Cézanne was unhappy with the painting and bolted from Paris to Aix-en-Provence in utter disappointment. Despite its incompleteness it is an exceptional piece illustrating Cézanne’s philosophy about sitter and environment. Left: Paul Cézanne, Gustave Geffroy, 1895–1896, oil on canvas, 46 1/16 x 35 ¼”. Musée d’Orsay, Paris, gift of the Pellerin family, 1969 Photograph © RMN-Grand Palais (Musée d’Orsay)/Hervé Lewandowski. According to Meyer Schapiro, “The portrait has been noted as the continuation of a recurring Cézanne theme: people in their natural environment, reserved and unimposing, immersed in their everyday tasks. [I] In this work we observe Cézanne breaking down the traditional distinction between subject and background. Geffroy is the central focus of this composition who is engaged in writing, surrounded by manuscripts, crowded shelves with books tilting at different angles from shelf to shelf and ending in open volumes and personal artifacts. The incompleteness of this image adds to its mystery and arresting yet intimidating character. It is a work that fascinated the Cubists and Futurists because of its structural organization and unusual perspectives as well as the bold use of space on the table surface. The two final galleries of the exhibition offer what most viewers will recognize as Cézanne’s established signature style as typified in his well-known bathers to the scenes of L’Estaque and Mont Sainte-Victoire. During his last decade Cézanne painted peasants in southern France, along with friends, employing gleaming color to produce a sense of depth and volume in his portraits. The extraordinary final pictures of his gardener, Vallier, in equally dim interiors and intense sunlight, corroborate Cézanne’s definitive achievement as a remarkable artist. His special brand of portraiture demonstrates a fusion of the subject’s unique face with the painter’s interpretative brush. Right: Paul Cézanne, The Gardner, Vallier (1902-06), oil on canvas. Private collection. 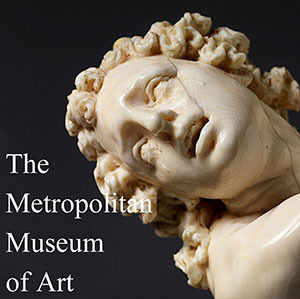 The in-depth fully illustrated exhibition catalogue features essays by John Elderfield, and curator Mary Morton at the National Gallery of Art and Xavier Rey, curator at the Musée d’Orsay, along with notes on the artist’s subjects by his biographer, the late Alex Danchev. It is a must have for any art library! [i] Schapiro, Meyer. Cézanne. New York: Harry N. Abrams, 1988, p. 100.